…with some added words. Click on any image to see the full sized version. 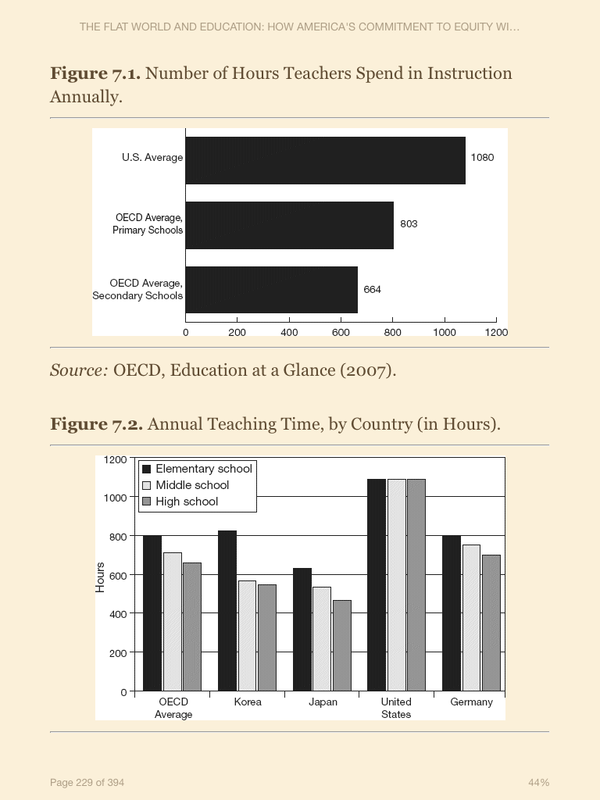 …from Linda Darling-Hammond’s The Flat World and Education: How America’s Commitment to Equity Will Determine Our Future. 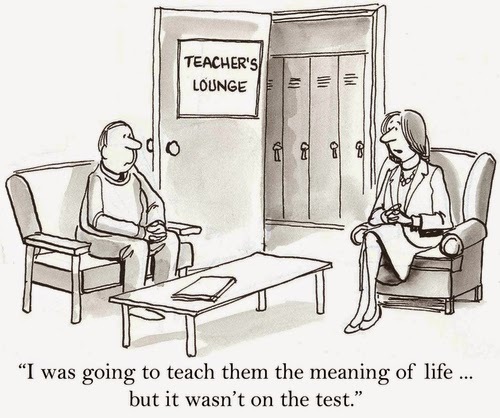 Teachers in the U.S. are overworked with little time for professional collaboration and professional development, yet this is one of the most important aspects of professional life needed to improve the teaching profession. Trying to fix the nation’s educational system without paying attention to the economic problems facing the U.S. is doomed to failure. 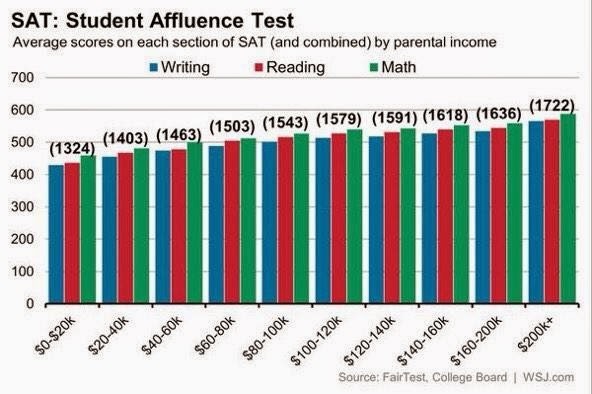 There is a direct relationship between family income and test scores. Causality? Poverty has an impact. Many studies confirm that poverty has a devastating effect on school performance: The dream team, “the world’s most inspiring, transformational teachers” will have little effect when students are poorly fed, ill because of lack of health care, and read poorly because of lack of access to books. 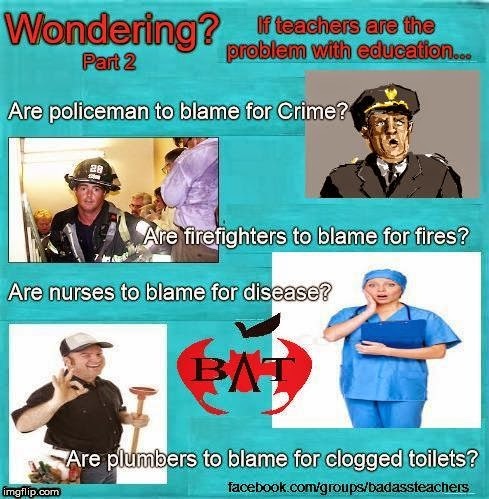 The Democrats of today won’t save public education. People like Barack Obama (through his mouthpiece, Arne Duncan), Andrew Cuomo, Cory Booker, and Rahm Emanuel have sold out to the Gates-Broad-Walton Megabillionaire’s Club whose goal is the privatization of American education. 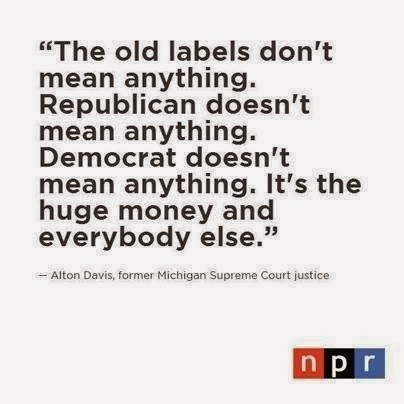 Republicans aren’t much better. Remember the 2012 Presidential campaign and Mitt Romney’s disgusting comment about getting “as much education as they can afford”. The only education issue discussed was how people were going to pay for college. And we know how that turned out…students now finish college buried in life-long debt. 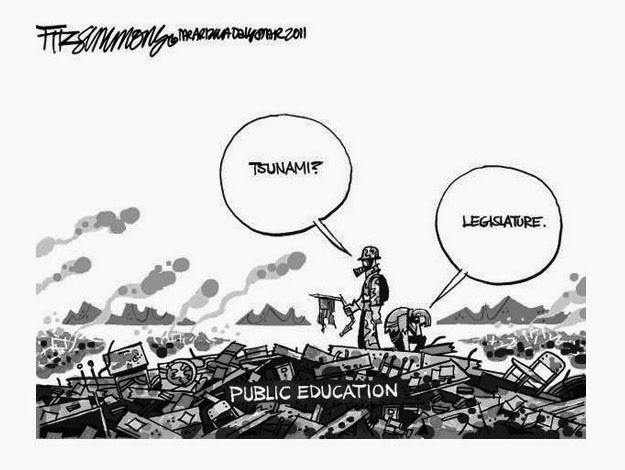 The danger to public education is greatest at the state level. 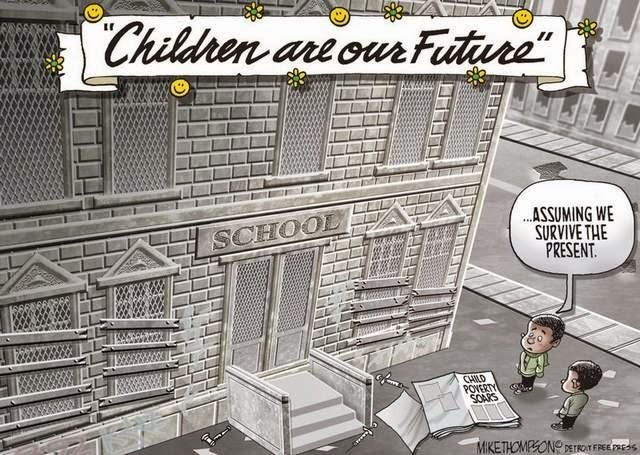 Legislatures around the country are gutting public education funding and transferring money to private run charters and, in Indiana, Louisiana, and other places with destructive voucher plans, private schools. America’s child poverty problem is an indication of the disdain we have for our children…and our future.